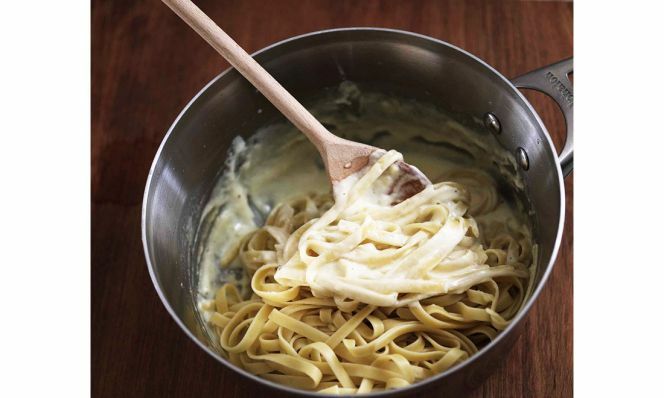 The keys to preventing clumpy, mushy, bland pasta. Making spaghetti should be as easy as boiling water, but there are lots of places where you can go wrong. Hit these key points, and you’ll pasta like a pro. 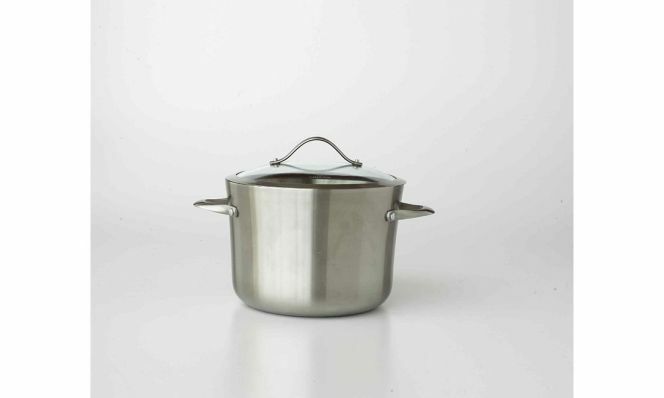 Choose a large enough pot. If you’re making a wee bit of orzo for yourself, go ahead and use a medium saucepan. But don’t try to cram your lasagna in there too—give it room to move so it doesn’t stick together. Salt your water liberally. This is your shot to season the pasta itself. Even a well-seasoned sauce is improved by well-seasoned pasta. Stir after adding the pasta. 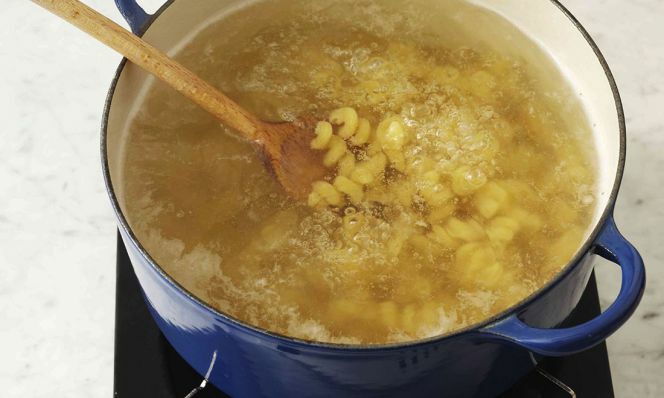 When the, say, rigatoni is added to the pot, it drops the temperature and movement of the water, and the pasta falls to the bottom where it can clump. And cooking will only solidify that clump. 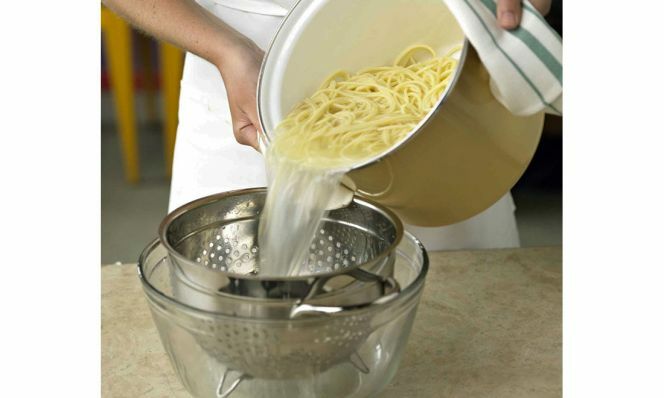 Give the pasta a stir after dropping it into the water; it loosens things up and keep your strands or pieces separate when you go to plate them. 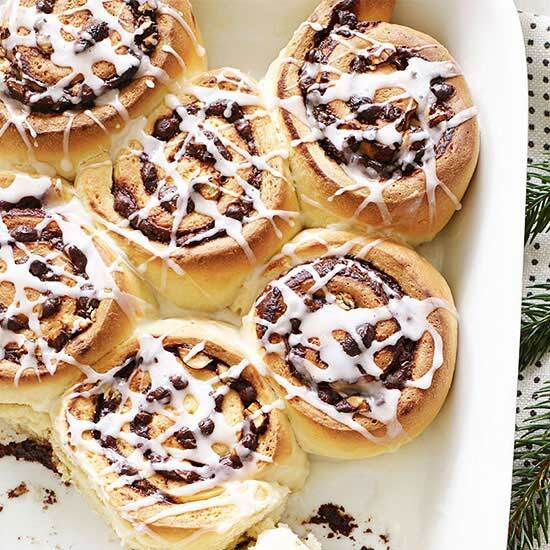 Taste as you go. Learn what texture you like and pull the pasta then, regardless of what the box says. Save some cooking water. 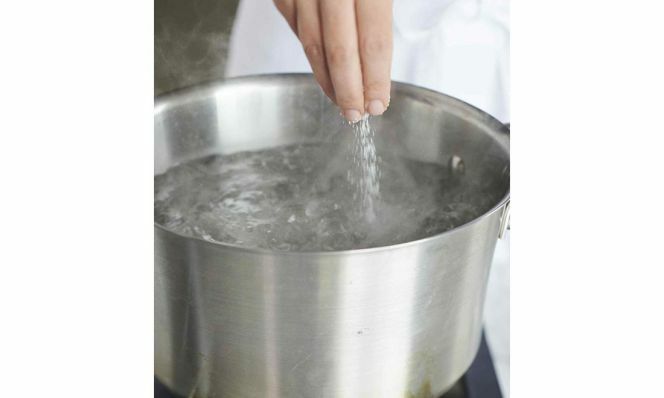 The starchy, seasoned liquid is a must for sauces based around butter or cheese or lemon, for example, but it can even help the texture of a jarred marinara so that you get better coating in your final dish. Top your bowl of pasta with a ladle of sauce if you wish, but tossing the pasta with the sauce will give you a more cohesive dish. You can do this with fully cooked pasta, or you can pull the pasta about 2 minutes before al dente and finish cooking it in the sauce (another place where that reserved cooking water helps! ).